Our daily work focuses on high-quality study execution in compliance with all valid directives and legal statutes. This serves as the basis for guaranteeing and generating high data quality in every clinical study we handle. At the same time, we give top priority to safe participation in the study for patients and test subjects alike. All the trials conducted at our research sites naturally comply with ICH-GCP and AMG. All the work processes are detailed in our binding standard operating procedures (SOPs). On the basis of trial protocols for each study project, we develop source data worksheets, which are updated promptly and painstakingly for all sites when amendments are made. Thanks to a central quality management, we can assure clients of our high standards in any trial setting. At the same time, we employ a quality representative at each location and invest in ongoing training for all our staff. Our ongoing training and development strategy is key to smooth workflows. 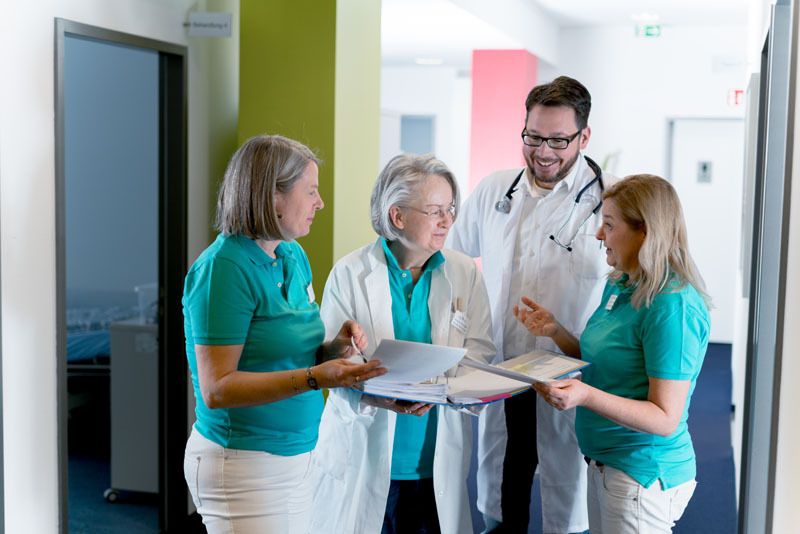 We therefore offer all the necessary internal and external GCP courses – for both trial physicians and study personnel, including updates and refresher courses. Please contact us if you are interested. We guarantee maximum data quality and a continual improvement process through our annual internal audits and regular quality circles. The quality of our work has been confirmed in some 100 audits performed by our clients or by auditors they authorize, local government offices and in 3 FDA inspections. This is certainly something to be proud of. 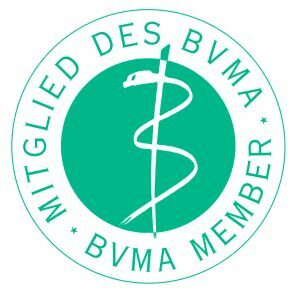 Furthermore, in 2017 we joined BVMA (Federal Association of Contract Research Organizations) and, in this capacity, are audited on a regular basis by our partners. 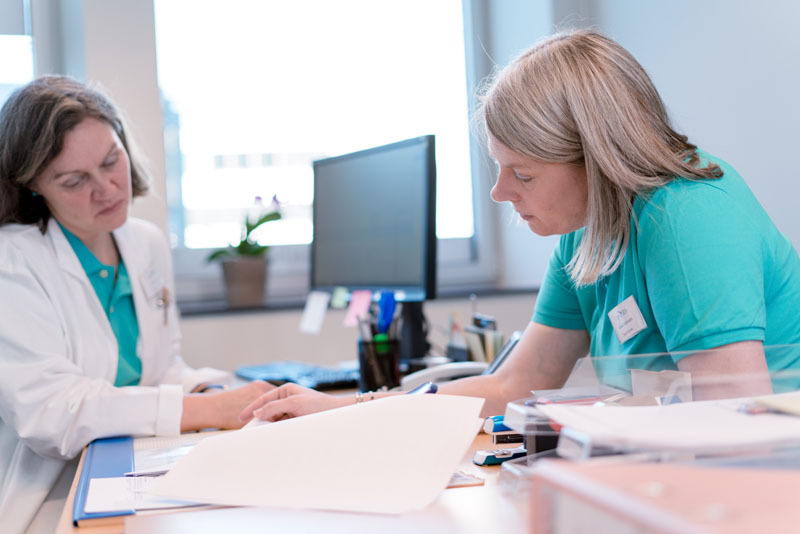 Alongside the offer of continual training in good clinical practice we will be giving aspiring study nurses and study assistants the opportunity for in-depth training at our research sites as of 2019. You can find out more here very soon. We would also gladly share our experience in study execution with others and will act as mentors to help improve organization, workflows and quality at other sites. 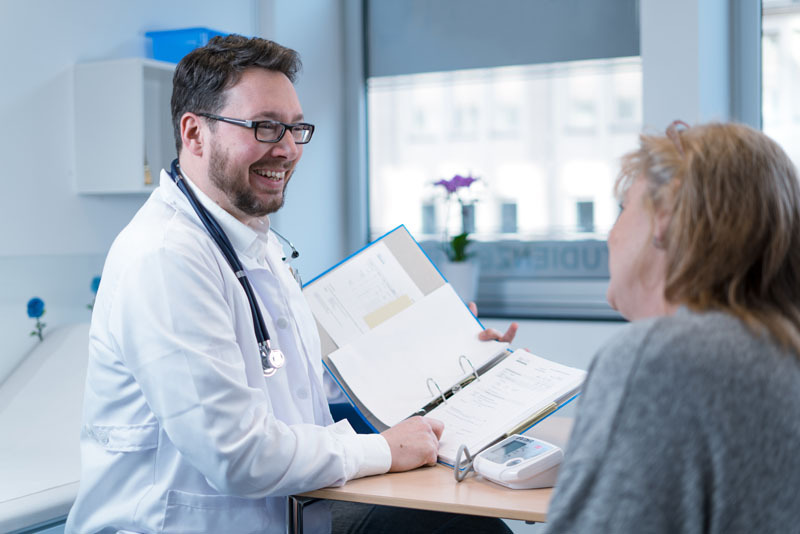 On behalf of sponsors and CROs we perform pre-audits at clinics and other research sites and, for example, give advice on the compilation of SOPs. We offer you central coordination and organization of all your feasibility inquiries through a single contact for all our sites. We are specialists in the area of patient recruitment. Our database contains over 50,000 potential patients. We have over 20 years’ experience conducting clinical trials in phases Ib to IV.